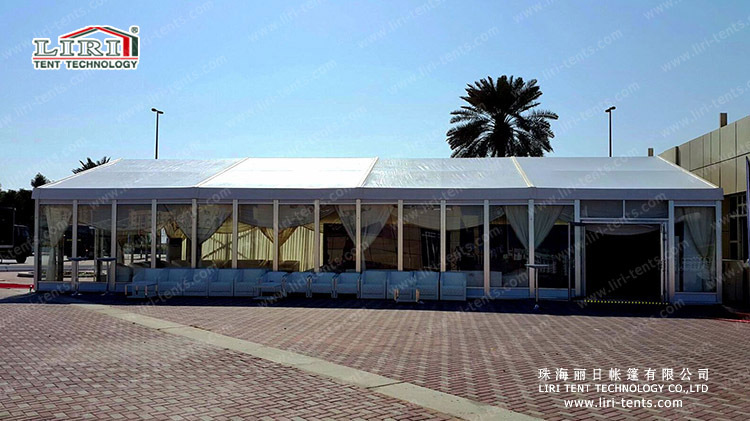 Our 10x20m Solid Aluminum Frame Event Tent with Glass Wall System are available in a variety of colors and sizes and a great choice for any event. 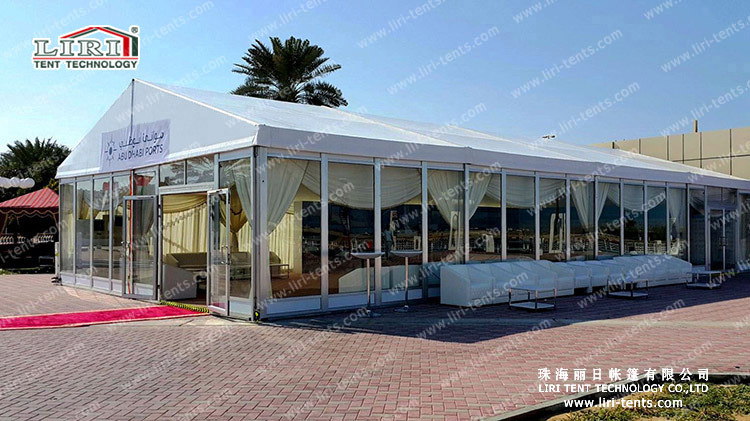 What’s more, Solid Aluminum Frame Event Tent also offer protection from not only weather but also from fire. And we have lots of successful cases all over the world, so Liri Tent enjoy a great reputation both at home and abroad. 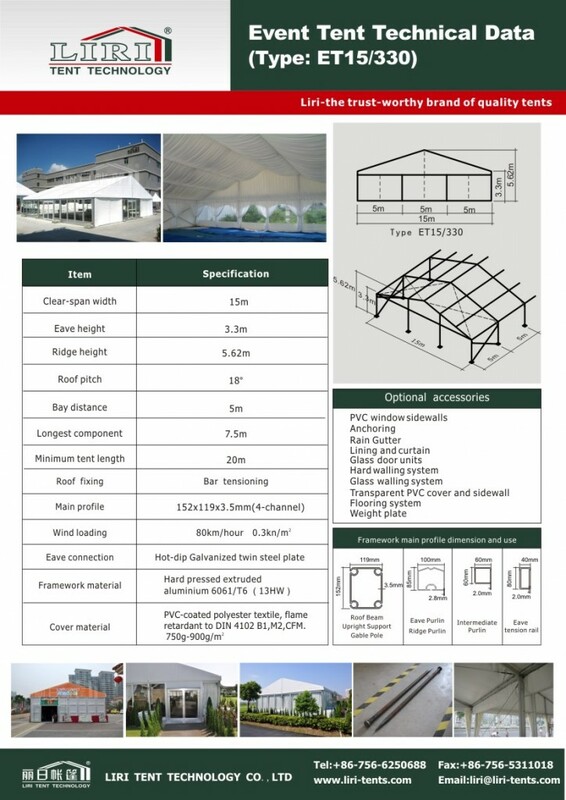 The length can be extended by 5m bay such as 15m, 20m, 30m, 40m…Customized size or shape is available. 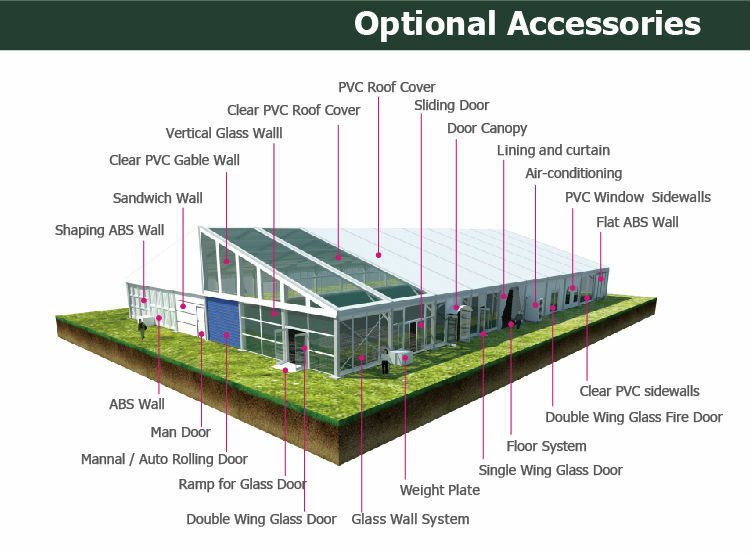 The technical data as follows, and we can enlarge or diminish our tents based on your different requirement.